KAASHALI MALA: Kaashali mala has a huge role in Namboothiri Culture.It is a Necklace of high prominence and is worn by Namboothiri Women more frequently as the Necklace is believed to be sacred and is a symbol of Prosperity. 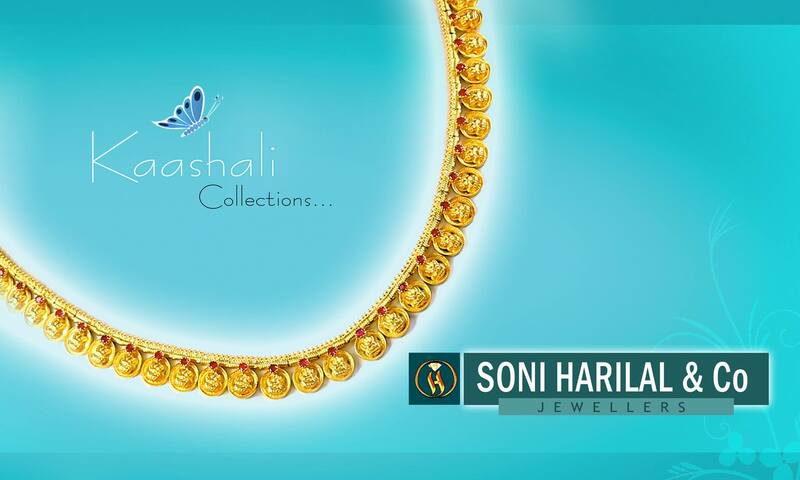 Kashali necklace has Lakshmi motifs most commonly and also It come's with Ganapathy motifs with beautiful 'arimbu' work and each 'katta' separately standing out Exclusively when strung in gold noolu. The Kaashali mala is another Variation of 'KAASU'(LAKSHMI MALA) mala,Overlapping of each katta is avoided in Kaashali mala unlike LAKSHMI MALA.It gives more character and beauty to it.